A mid way to a top, we get you a crop top ( self designed ). Fabricated in cotton , its just so youthful. A chic navy blue tone, the deep v-slit is quite eye catchy and teasy too without being too much over the top. 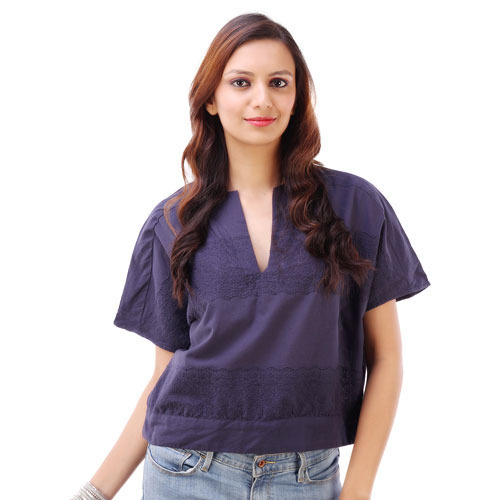 Not letting you sacrifice on fashion or comfort, this top is an ideal to be worn at college and other casual outing younger women. Match it up with shorts or denims.